Shares of Roku (NASDAQ:ROKU) have taken a tumble over the past month, down 11% compared to a 3.4% gain in the Nasdaq Composite index. The catalyst has been a series of ROKU stock downgrades by the likes of Guggenheim, Macquarie and Citigroup (NYSE:C) analysts. News from Apple (NASDAQ:AAPL) about its plans to refocus on the services business, including TV streaming, while light on details, still made investors question the impact on ROKU. While the Los Gatos, California device maker may well have been the pioneer in TV streaming with its ROKU players and ROKU TVs, other entrants with substantial resources are entering the space in a big way. Despite the past month’s retreat, ROKU stock’s YTD performance has been literally out of this world. It has blown past FAANG stocks and the major indexes by a huge margin. Before the wobbles in early March, ROKU stock was up well over 100% when investors (on the long side) were just happy to see the S&P 500 index bounce back 13%. Meanwhile Roku hasn’t been able to catch a break after Apple’s announcement. It reported a strong fourth quarter with active accounts growing 40% over the prior year and streaming hours were up 69%. The fact is that the TV streaming space has changed in a big way since ROKU’s 2017 IPO. ROKU’s main source of revenue is advertising and their ability to data on consumer viewing habits is what helps them generate better value propositions for its advertisers. Their advertising platform is where the growth is, but new entrants will hurt this engine when advertisers start spreading their dollars to other platforms. The main problem is that there is no moat around ROKU’s business, i.e., the barriers to entry are low for other players in the tech space. It’s not difficult by any means to change a Roku dongle to an Apple dongle. While it may have a strong content offering at the moment, having recently announced a deal with HBO, that won’t be enough for Roku to hold onto subscribers in the face of an onslaught of competition. Investor recognition that the future seems tenuous could account for the 3.8% decline in the ROKU stock price over the last five trading sessions. It may try to shrug off Apple as a non-threat, showing its double-digit growth figures from past quarters, but the threat it faces is real and its position as a one-stop-shop for free and premium entertainment is going to change. ROKU’s platform is going to decrease in relevancy. 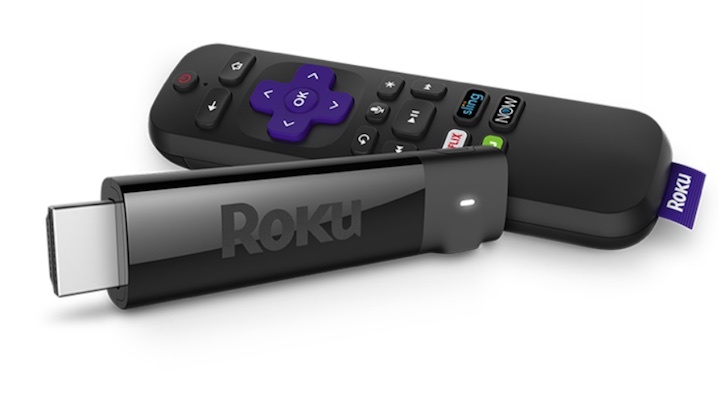 Article printed from InvestorPlace Media, https://investorplace.com/2019/04/roku-stock-has-a-target-on-its-back-as-apple-revs-up-its-tv-engine/.